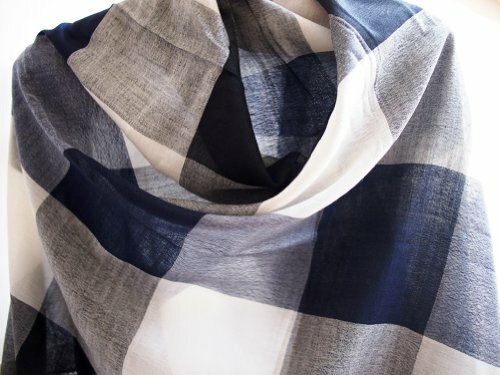 Free Shipping - India Hand Woven - Premium Light Weight Cashmere / Kashmir - Black White and Navy Blue Stripes - 81'' X 30'' Wraps / Scarf / Shawl / Scarves / Tablecloth / Home Decoration by SukSomboonShop at Thai City Deals. MPN: Hypernova-B-NOTE3-5002346. Hurry! Limited time offer. Offer valid only while supplies last. Suk Somboon mean happiness and prosperity. SukSomboonShop is started because I believe in beauty of life. I love beautiful things and accessories. Measure = 81 inches x 30 inches, Weight = 200 Gm. If you have any questions about this product by SukSomboonShop, contact us by completing and submitting the form below. If you are looking for a specif part number, please include it with your message.